YogaCurious is a leading yoga, health and fitness portal sharing best products, deals and knowledge about health. 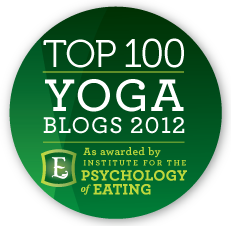 You can find useful information about yoga asana, yoga products, yoga and life, meditation, human body at this place. Are you suffering from Back pain? Looking for a simple yoga poses to get it recovered? This article is for you. Back Pain is among the most common issues that people face with their physical conditions. The causes for the pain in the back can be many ranging from a sports injury of the past to sitting at the desk for a long period of time. Now, there are a number of yoga poses that can help relieve back pain, irrelevant of the causes of the physical condition. Yoga is not all about the appropriate poses. It is also about proper breathing while maintaining the correct poses. Yoga requires slow, calculated breathing, as this helps the proper utilization of the effects of the poses on the body. Proper breathing during yoga is most important for the treatment of back pain resulting from past injuries. When this happens, the muscles situated around the injured region tighten to protect the body from further injuries. However, it can also lengthen, or sometimes even thwart comprehensive cure. While lying on the back, a person must lift one knee and hold the shin, while placing the other leg on the thigh. After this is done, the knee must be gently drawn towards the chest. For this pose, a person has to stand with their feet parallel, and bend over the legs, with the arms, back and the neck releasing in the direction of the ground. 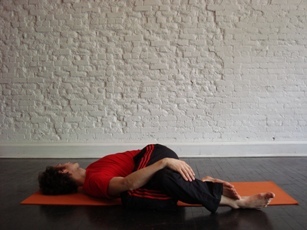 This pose requires a person to lie on the back with feet behind the hips and knees upwards, after which the hips have to be raised to a comfortable level and a block has to be placed beneath the sacrum. This pose requires a person to sit down between the heels with knees crossed over one another and the calf of one leg placed beneath the other and ankles widened out. It can also performed in different position of legs as explained in Wikipedia article. This pose requires a person to lie with arms parallel to the body and bringing the knees towards the chest. Gradually, the feet have to be lifted backwards to touch the floor behind the head. While lying on the back, the feet have to be pulled right behind the hip. After this, one leg has to be rested sideways, while the other leg has to be gradually moved towards the resting leg and wrapped around it. Lying with arms and legs straight, one knee has to be drawn close to the chest, after which the outside of the foot have to be held by the opposite hand. Then the leg has to be stretched to the opposite side to touch the floor. Sağlık açısından yoga uygulamayı çok istiyorum ancak ben grtlak kanseriyim. uygulamalardaki hareketlerde zorlanır mıyım diye endişeye kapılıyorum. bu konuda beni aydınlatırsanız memnun olurum. sağlıklı günler diliyorum…. @Emel Thank you for writing us, i have forwarded your query to Yoga Expert Franz Andrini, He will definitely give some solutions to your query. It all depends on the stage of your cancer. If there is a uncomfortable pain in your adam’s apple while bending forward, then some of the poses might not be useful. However, there is also a comfortable pain, which might indicate that is is alright to bend and twist. There are many poses and breathing exercises that are beneficial for your illness but I would need to see you in person to asses your condition. I am residing in Istanbul. Are there specific yoga exercises to help cure a hiatus hernia. Many poses look like they only put pressure on abdomen and therefore on the H hernia.